Not to say Daniel Tuente hasn’t been killing it for a while now, but he’s been especially on fire as of lately! Check out this brand new video welcoming him to the Parano Garage line up. This one is a little different than what we usually see from Daniel because he puts those pegs to maximum use for this one. “Not too long ago Daniel Tünte decided to get a couple pegs and improve his grinding. Now he´s not only throwing barspins into double whips over big dirtjumps, flairing every quarterpipe in front of him but also using each and every of his grindsticks to the fullest. 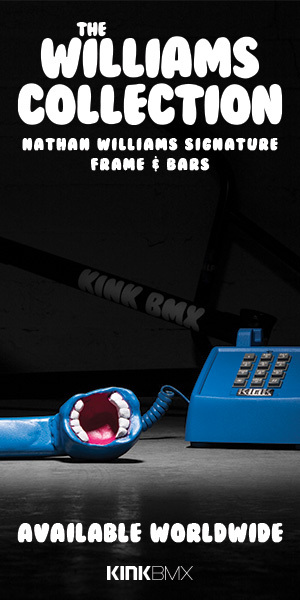 Daniel Tuente | Welcome to Mankind Bike Co. from Mankind Bike Company on Vimeo. Daniel Tuente just joined up with the Mankind team, and his welcome edit borders on DVD part level. A lot of people know him as that “decade on street guy”, but this proves that he is much more than that!